Also known as Immortelle or Everlast, Helichrysum is a delightful strawflower, which can be dried and is often used in flower arrangements. As an essential oil, this powerful and therapeutic oil can have long lasting effects both on the body and on the emotions. 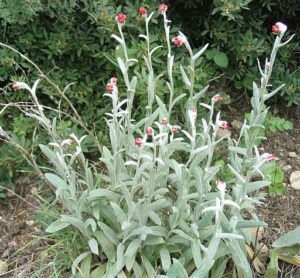 Helichrysum angustifolium and helichrysum italicum are the two main species that are steam distilled when the plant is in full bloom. Harvested mostly around the Mediterranean region, this ball-shaped golden flower has a pungent curry-like smell with a faint honey sweetness. In its absolute state, it is used widely in perfumes. Helichrysum, in aromatherapy, is a great cleanser and detoxifier. In the liver, it aids in purification of the blood and acts as a support to the gallbladder. It also stimulates and balances pancreatic activity. This Immortelle plant is also a wonderful immune strengthener because of its anti-bacterial, anti-viral and antiseptic properties. When used in an aroma lamp, this oil can kill the germs that carry infection and can be burned in a sick person’s room to help cleanse and purify the air. Burning helichrysum is also beneficial for bronchial conditions as it helps break up mucus and ease lung congestion. It is useful as an expectorant when gargled. 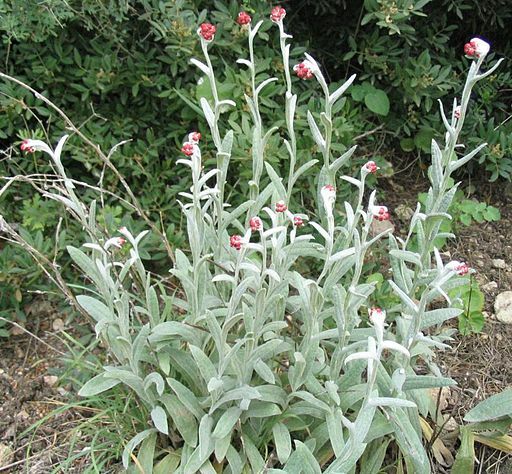 As with tea tree, lavender and chamomile, helichrysum is also a successful skin rejuvenator. Applied topically it helps minimize scar tissue and heal acne conditions. It is useful in cases of eczema, abscesses, dermatitis and psoriasis. Because of its deep cleansing action, wounds and cuts are greatly improved with its use, as are boils, abrasions and stings. Helichrysum can be added to face creams, lotions or placed directly in a bath where soaking 15 minutes will help alleviate the itching and discomfort of skin rashes. Because helichrysum is a flower that enjoys the sun, it is connected with the solar plexus energies. On a psycho-spiritual level, Immortelle helps to balance and focus those who have become ungrounded or who seem to be lost on their spiritual journeys. It supports the “I Am” consciousness and is a great aid in meditation when one wishes to contact their higher knowledge or when seeking their karmic path. Having a yang quality, it supports the animus aspect and strengthens the will center. It allows for clarity and decision-making, and gently nudges those who have become stuck in out-dated emotional patterns or who seem to rerun out-moded mental tapes. Helichrysum’s energetic frequency seems to be very harmonious in the current vibration of the world. It resonates on a similar heartbeat with that of the earth, connecting our heart to the Earth’s spirit. Helichrysum calls out for us to clear and realign ourselves with the FatherSun and ground our energies down into MotherEarth. We are more able to release negative emotions and find joy in life when we invite this oil into our lives. It truly makes us feel Immortelle.